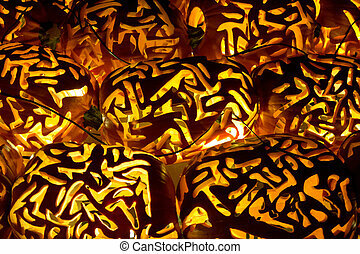 Halloween Jack-O-Lanterns, Glowing orange halloween carved pumpkins. 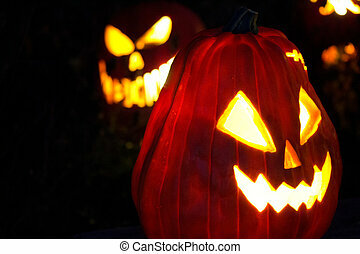 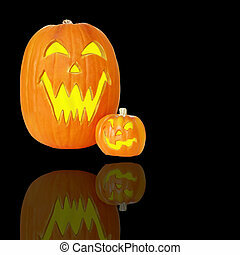 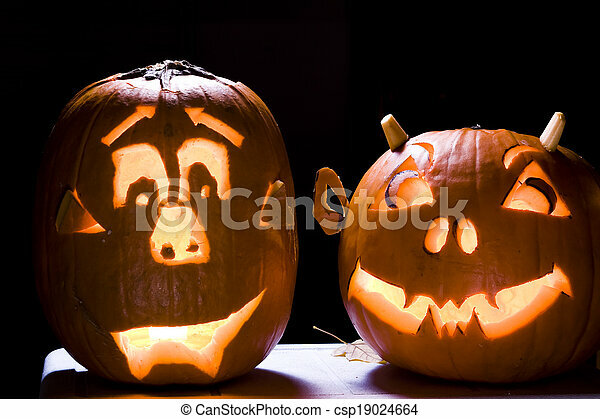 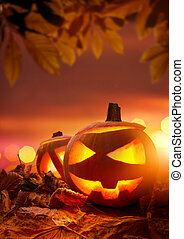 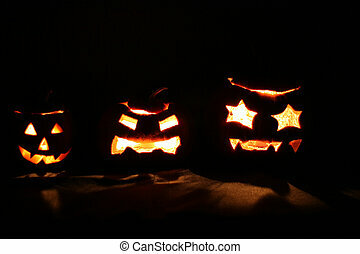 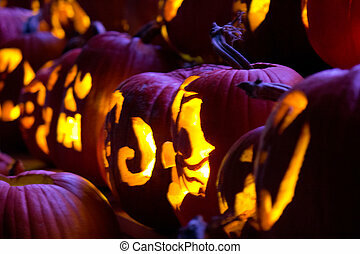 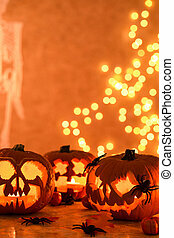 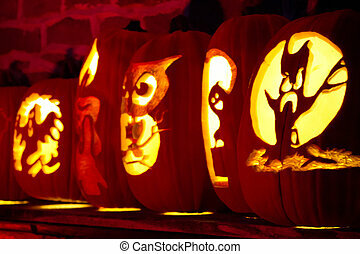 Halloween Jack O Lanterns - Carved and lit jack o lantern pumpkins with space for copy. 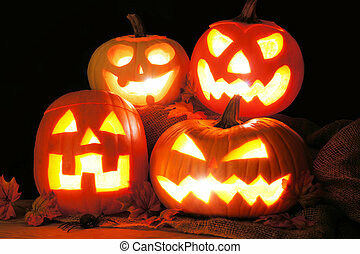 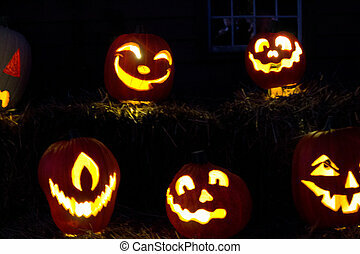 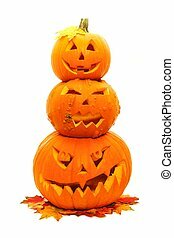 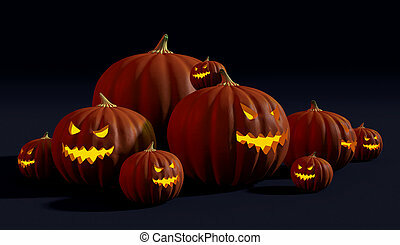 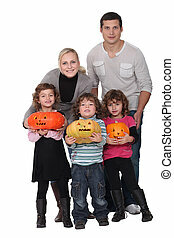 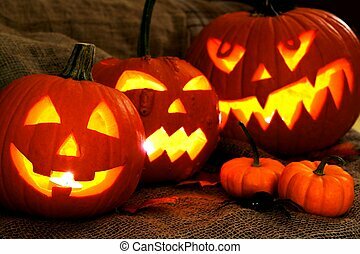 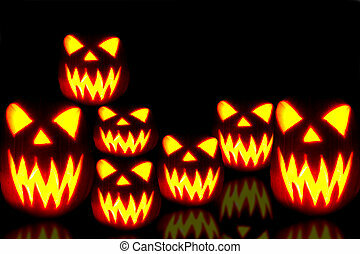 Family of spooky Halloween jack-o-lanterns.